As our world has become more of a global economy, there are many things to learn outside of the local culture. 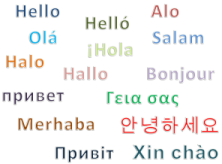 One of the more important skill sets in understanding other cultures and communities is by learning their language. Children developing a love of learning a secondary language can shape the future of how people interact and communicate internationally.